Quality Vision Home Inspection, LLC is here to help home buyers & sellers make the best possible decisions when buying or selling a home. This is accomplished by properly educating them as to the current condition of the property and by listening to what is important from their perspective. I also provide helpful tips on how to maintain your investment so that you can avoid costly expenses years down the road. You may hear from others or even real estate agents, that inspectors are all they same, but this simply isn’t true. Quality Vision Home Inspection, LLC is part of a nationwide group of thousands of inspectors who are helping tens of thousands of home buyers & sellers every year make informed decisions the best fit their circumstances. Because I am a real estate investor also I have a strong knowledge of what to look for that could result in costly repairs or what improvements will yield the best return when selling a property. I produce a lengthy, detailed report (usually over 30 pages) with lots of pictures depicting any issues you may want to address. This report will serve well when doing your final walk through or dealing with contractors making the repairs. Whether a first time home buyer of a seasoned investor. Give me a call today to let me take some of the stress out of buying or selling a home! It doesn’t matter if you are buying, selling, or looking to invest in real estate. 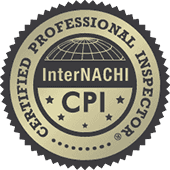 We are one of the TOP residential inspection companies our area! Call us today at 205-475-6106 to learn how we can help you out!